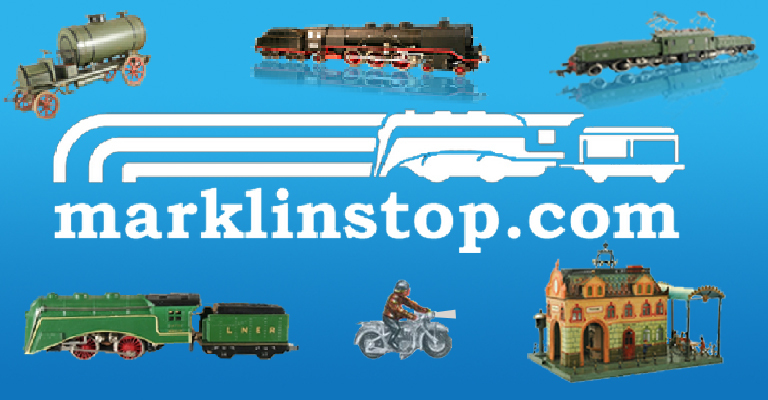 Among other European makers like Carette and Bing, the Marklin toys with their incredible quality and exquisite detail once again impressed the crowd and ultimately achieved some of the highest prices. 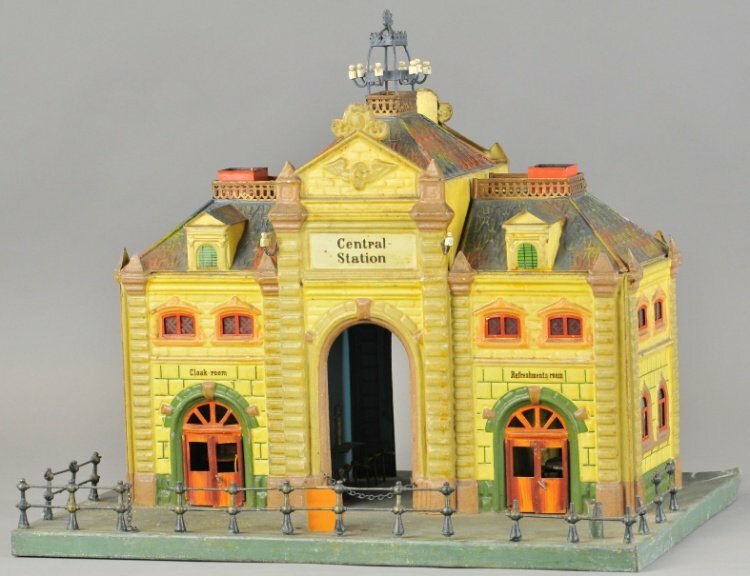 The crown-jewel from the maker Marklin was an incredible hand-painted “Central-Station” Nr. 2016 that dates to about 1904. Like its big brother, station Nr. 2017 with an attached side canopy, this station was constructed from embossed tin. Large steam-powered presses would sandwich the tin between two steel form plates to mold the tin to shape. This technique became popular in the toy industry at the turn of the century and added another dimension to the detail achieved by the skilled workers at Marklin. Like other Marklin stations of the time, this one comes complete with a Cloak Room, Refreshments Room, interior table and chairs, and a ticket booth at the front. The etched glass windows cast an incredible glow when lit by two candles, accessible by three detachable roofs. The example auctioned at Bertoia above was originally sold for the American market with English lettering and a yellow/green color pattern. Although missing the front ticket booth, a wind-up bell, and a few fence stanchions, the station is an incredible example in its original unrestored state. The station realized a price of just over $23,000 by flying past its auction estimate almost three times over. A Marklin Budweiser beer car achieved an equally impressive result. Made in Gauges O, I, and II, the range of Marklin beer cars were produced specifically for the American market. They featured highly detailed lettering and graphics representing a number of brands including Malt Nutrine, Schlitz, Heinz 57 Varieties, and Pabst Blue Ribbon to name a few. The earliest appeared in about 1907 and beer cars from different gauges and brands seem to have been produced up to 1915. 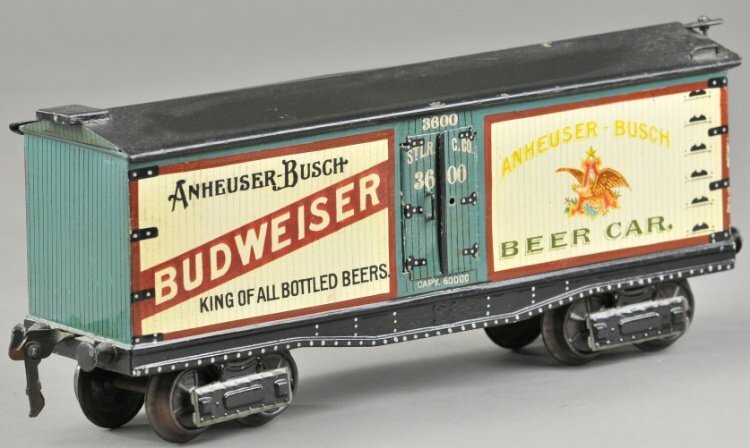 Production of the beer cars likely slowed as WWI approached and Marklin reduced production on all of its new and existing product ranges. The high realized price of $20,000 can likely be attributed to the car’s excellent condition. A similar car sold several years ago at Lankes, a German auction house, for about 18.000 EUR which roughly equates to the result here. Other Gauge I Budweiser cars sold in 2005 for $8,400 and $8,000 at live auction but were in much worse condition than the example here. 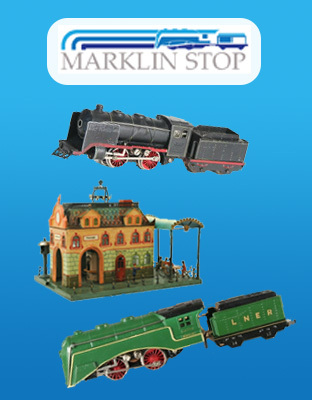 The appreciation in value of original Marklin pieces in good condition is clear and certainly is the case for these investment-grade pieces from the turn of the century. Overall the auction was an incredible success bringing high-quality pieces at strong prices. While Bertoia’s had been keeping it a secret, somehow the word got out about the premier Max Berry collection of mechanical banks, penny toys, horse-drawn and bell toys that the company will be auctioning in November.